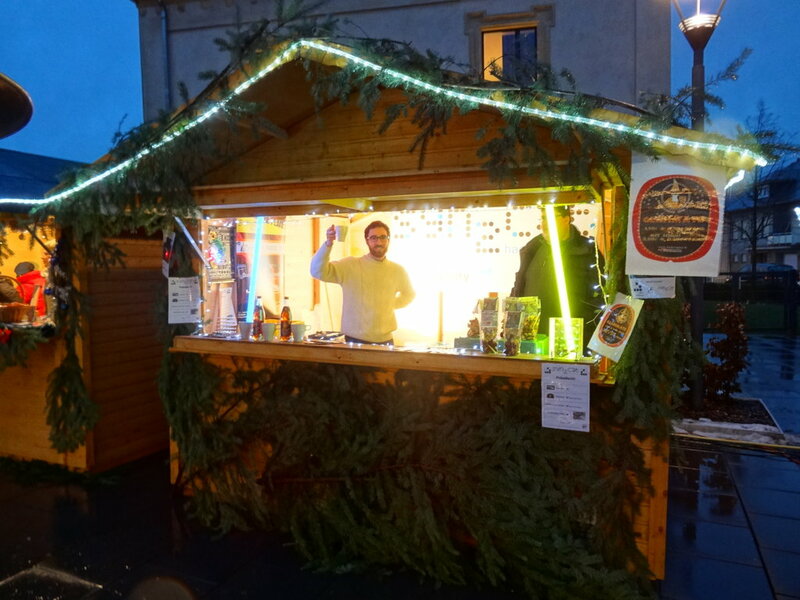 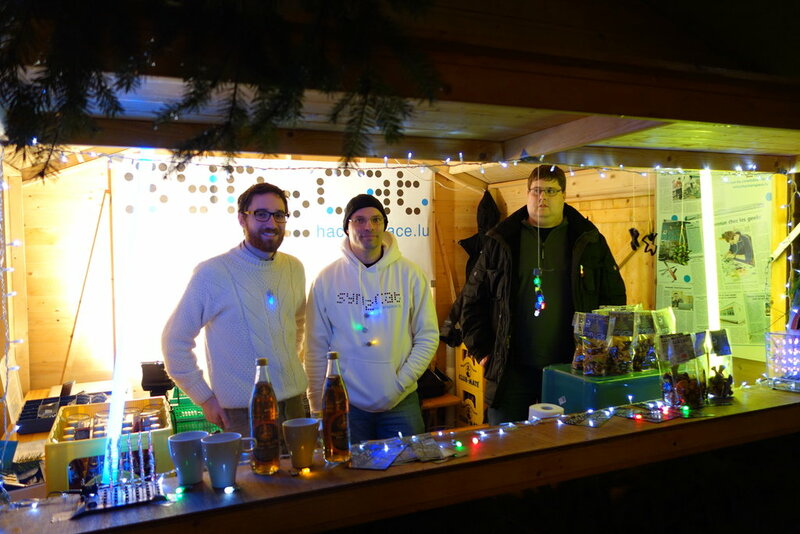 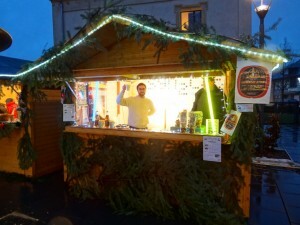 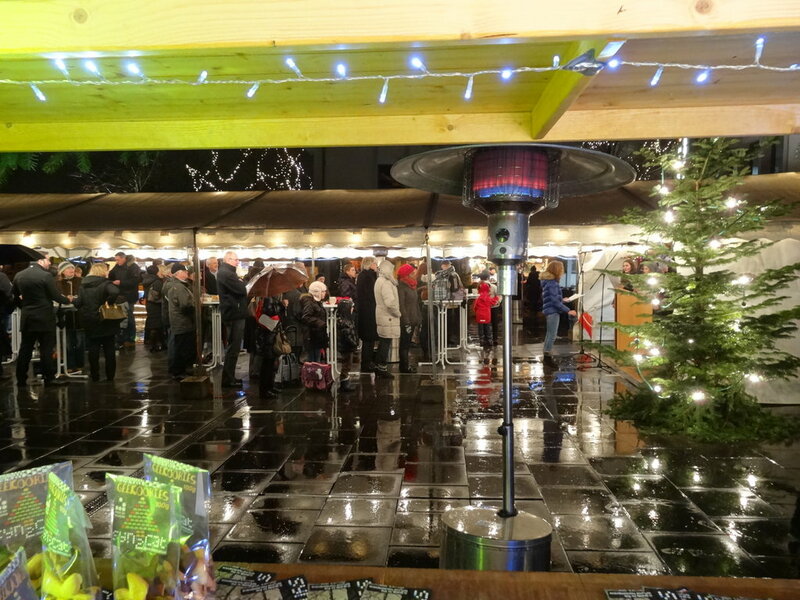 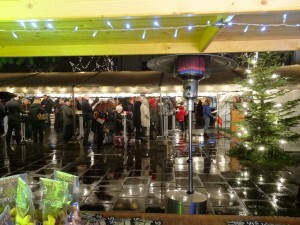 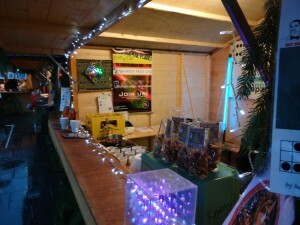 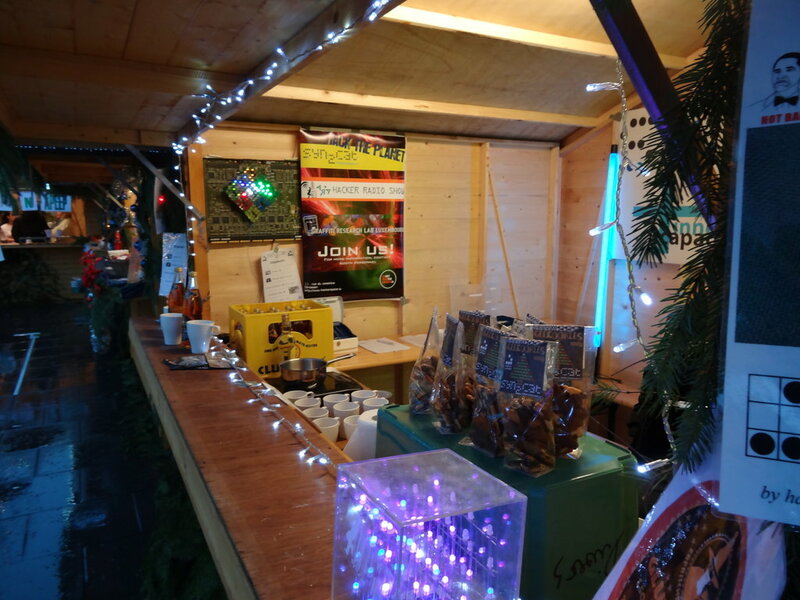 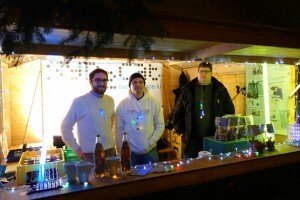 As every year, syn2cat animated a booth at the local christmas market in Strassen. 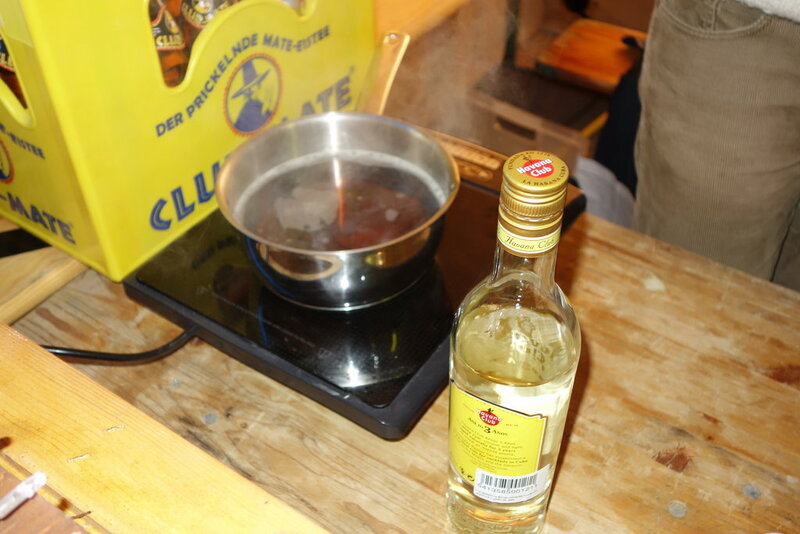 Selling our well known Glühmate which is the Club Mate Winter Edition heated to a nice hot temperature. Tastes really well. And of course, with a bit of rhum the glory beverage is best. 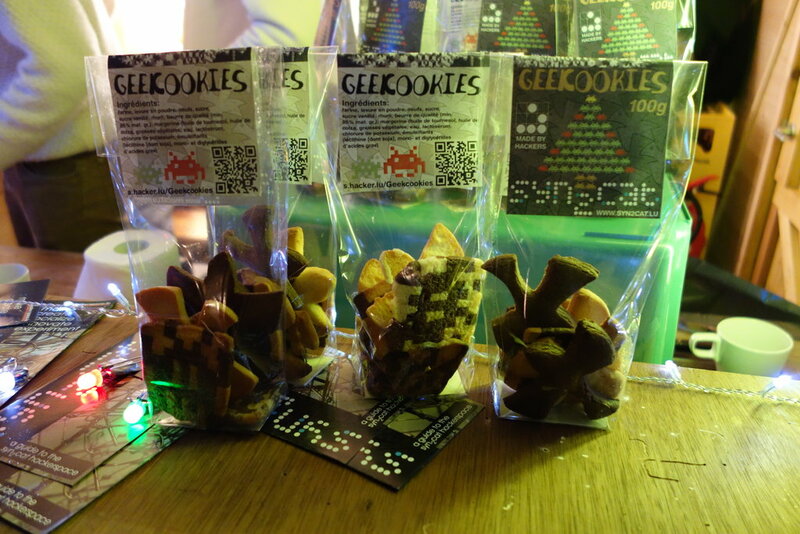 Also available a new edition of our cookies, this time the Geekcookies (link to our wiki). Our new “invention” is the glowpin: a LED with battery and a security pin all plastered together with power tape. 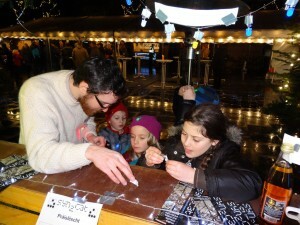 Especially the kids were excited with the colorful lights. 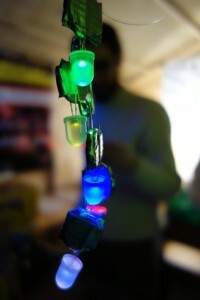 People could also build the glowpins themselves, giving them first contact with electronic components.